Wow. It’s been over a month since Critical Core launched, and now there are only 24 hours left before the Kickstarter ends. It’s no understatement to say that this couldn’t have been done without your incredible support, sharing of enthusiasm, and pledges. Together we’ve unlocked some incredible stretch goals, but the most important thing is the vision that we all share: the power of intentional gaming to help children on the spectrum build better realities through the power of fantasy. Thanks to the amazing support of our backers we have been able to secure donations for over 600 kits to be sent to hospitals, schools, and libraries around the world. So many kids will be able to benefit from Critical Core because of our backers, and there’s still time left! If you’ve pledged already, please give one last shout-out on social media. 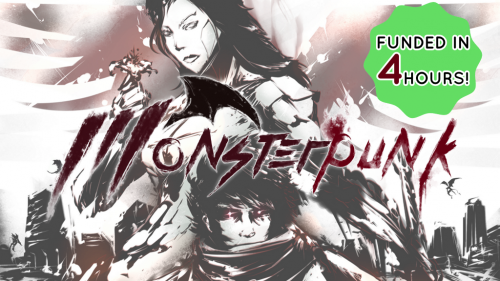 And if you haven’t done so yet, please take a moment to check out the Kickstarter page. END DATE: Tue, May 14 2019 9:30 AM EDT. “One Child’s Heart. This seems like an amazing idea. I think this might be one of the KS RPGs we are talking about in two years as a game changer. I know that is a lot of pressure to put on the creator but I feel like it has the juice. Sundown. Always love an RPG with a great concept behind it. And the way it embraces the characters as different is refreshing. It also does not pull many punches from what I can see. I hope it does well and can gets lots of support. END DATE: Mon, April 22 2019 1:00 PM EDT. 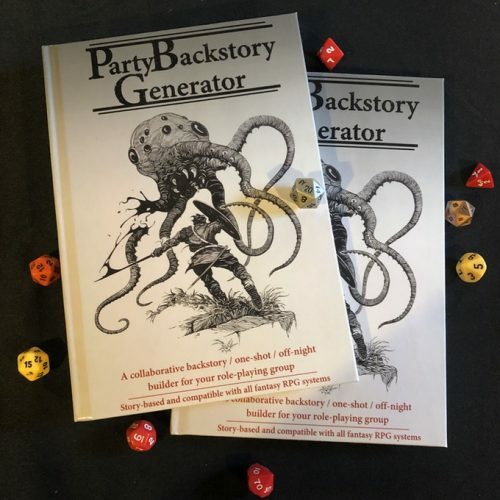 The Party Backstory Generator may be the most interesting conceptually. It’s always a little awkward to get a new party started. In past campaigns that I’ve run I’ve used a simple system where each player randomly draws the name of someone else’s character and chooses how they are related. That often leads to interesting role-play and factionalism within the party that can bring out a more interesting story than the text of an adventure describes. So I’m excited to see a fully-developed system where the players get some agency (and therefore emotional investment) in the world that they’ll probably have to save from… something. For the Dungeon is a game that turns the tables on the traditional hero vs minion relationship. One of my favorite campaigns that I ran (back in the 90s) was one where the players rolled up several sets of stats, picked the worst one, and made a kobold. It was supposed to be a one-shot while I figured out what was going to happen in the main campaign. Tiamat have mercy, the adventurers are coming! Twenty years later, those sessions are more memorable than whatever the “real” campaign was about. This looks like a lot of fun and the perfect guide for other DMs to do the same. Christine Pruett (Castles & Cats) recommended Brassman’s Adventure Club in last week’s column (here). Adam Meyers (Drop Dead Studios) of Ultimate Spheres of Power: The Complete System! (Pathfinder) recommended the Party Background Generator here. END DATE: Tue, April 30 2019 10:30 PM EDT. “The first RPG Kickstarter that I would like to highlight is The Grande Temple of Jing for 5E. 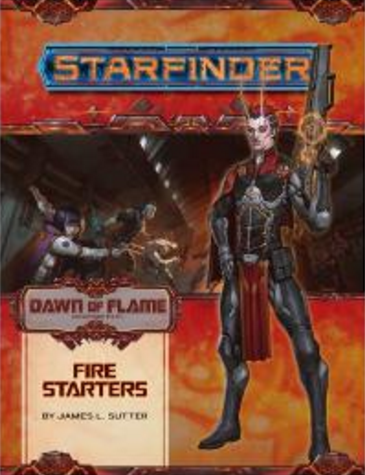 I own the Pathfinder version, and am excited to see the new book. Megadungeons are my favorite play style, and Jing does everything in the genre well. 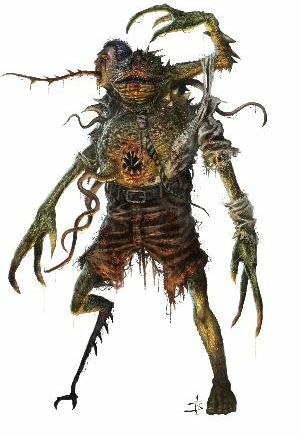 The next RPG I want to point out is Ultimate Bestiary: The Dread Accursed. Every game master loves monsters and this book looks to have a unique take on staple undead. Finally, I would like to mention Old-School Essentials. This project looks to capture the nostalgia from the 1980’s boxed sets. 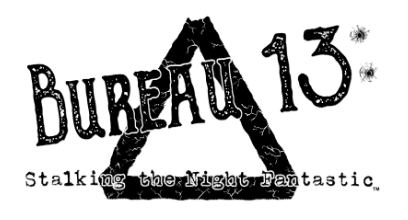 I cut my teeth in RPGs during that era, and am excited to to see this project. Creeping Cold was recommended by Glynn Seal (The City of Great Lunden) in last week’s article (here). Eric Bloat (Bloat Games) recommends Old-School Essentials (below). END DATE: Mon, May 6 2019 4:03 PM EDT. The first is Fight! 2nd Edition. It’s a cinematic game with tactical combat about simulating the specific kind of experience of a fighting game as well as its type of storytelling. Fighting games are a very kinetic experience and it’s really hard to translate that into a tabletop format. That Fight!’s 1st edition had a positive reception and is now going for a 2nd edition says a lot to me about the creator’s design chops. END DATE: Thu, May 9 2019 9:00 PM EDT. “Old-School Essentials by Necrotic Gnome Back when this series of books was called B/X Essentials, I picked all of them up and was blown away. This is not a house-ruled retro clone. This IS the original rules, redesigned for ease of use and re-written for clarity. 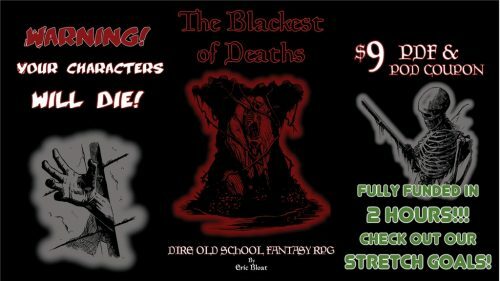 And now with the Kickstarter, the Necrotic Gnome has once again refined the books and design and added the missing “basic” info, like “What is a roleplaying game?” to be more welcoming to new players. I can’t wait to get this one in my hands! 5×7 Dungeon Card Set by Dan Smith If I a Kickstarter says “by Dan Smith” I back it. Period. Dan is a fantastic artistic and always approaches each project with an artist’s vision in mind. For The Dungeon by Jordan This one is pretty neat. It’s not your standard run of the mill Dungeon Crawler. In this game, you don’t play as the hero’s, you play as the minions that populate the dungeon. The example art is fantastic, and the tone is light and fun. Perfect for a night where, one of your players can make it but everyone else still wants to game. From the Ashes by FGFantasy. 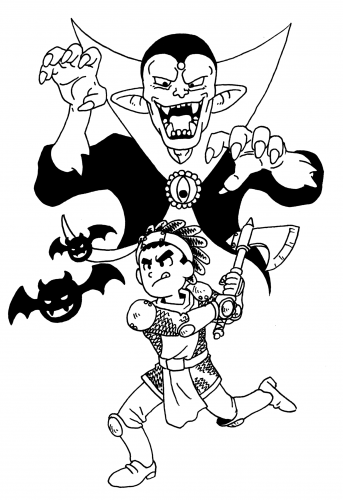 A twisted OSR project where you start the game as a ghost of a dead character! And you remember your life, you remember how you died. You want revenge! But as you try to fulfill your mission, you might “die” again, and you’ll simply respawn. However, die too many times and it’s off to Hell with your miserable dead self. Fire Lizard Games, LLC (BASE: a CaRdPG) recommended From the Ashes in last week’s article (here). Jayson Gardner (Silver Bullette) recommends Old-School Essentials (above). 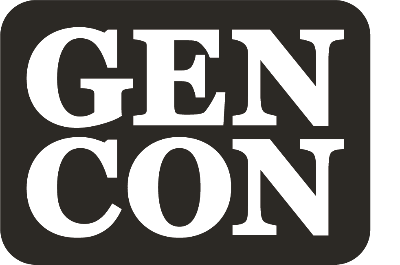 June 12-16 – Origins Game Fair! Origins and Path of Play founding new Sensory-Friendly Gaming Room! We are excited to announce a partnership with charity organization Path of Play to found the Sensory-Friendly Gaming Room at #Origins2019. This initiative is aimed towards creating an inclusive space for families living with autism and foster awareness for gamers not impacted by special needs. Attendees will be able to find this room in A115 of the convention center. It will keep the same times as the Exhibit Hall. Attendees will be able to register for this event at 1pm on Sunday. The contest will begin at 2pm. Compete on stage or cheer for your favs from the audience! Put on your dancing shoes and get ready to enjoy musical entertainment provided by Apryl Knight, Rhiannon’s Lark, Dan the Bard, and Tom Smith! Search for these performers in the Event Grid and stop by their many concerts during the show! We are so excited to partner once again with Wasabi Anime to showcase these amazing studios in the Anime Area at #Origins2019! The full schedule will be published soon, but in the meantime, get ready to share excitement for your favorite shows with fellow fans! Haven’t picked up your badge yet? Want to save a few bucks? Register your badge today and get Early Bird Pricing! IMPORTANT – This special pricing ends June 3, so don’t dilly-dally! See you June 12-16 in Columbus, OH! Get early bird pricing on your badge! Copyright © 2019 GAMA, All rights reserved. You are receiving this email because you are interested in learning more about Origins Game Fair in Columbus, OH. Today Reign Dragon Press launched its second Kickstarter following on the success of the DIRGEzine kickstarter in February & March of this year. 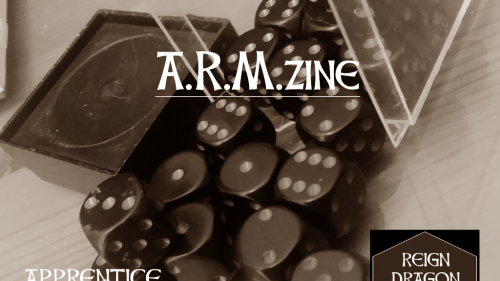 ARMzine or the Apprentice Role-playing Manual is an rpg/fanzine designed to be a fun way to teach kids (of all ages) how to play AND run role-playing games, without the need for traditional call backs or social barriers to entry. ARMzine is being design with a simple D6 + Skill, fail forward philosophy where success is team building and creativity, not necessarily how many bad guys you bulldozed. Random charts provide the Game Master and their crew (players) with tools to generate completely random adventures, including genre, setting, and the weirdness factors. ARMzine is setting and genre neutral. This means that one does not need a particular knowledge of either history or RPG traditions to play or run ARMzine inspired games. The cool traditions will be baked in and the unneeded baggage will be left out. In addition, as many kids will be rounded up to playtest ARMzine as we can find. It won’t be adults talking down to kids; the kids will have a say in how the game is designed. Become one of the backers for this great idea! Head on over to Kickstarter and put your support behind ARMzine! 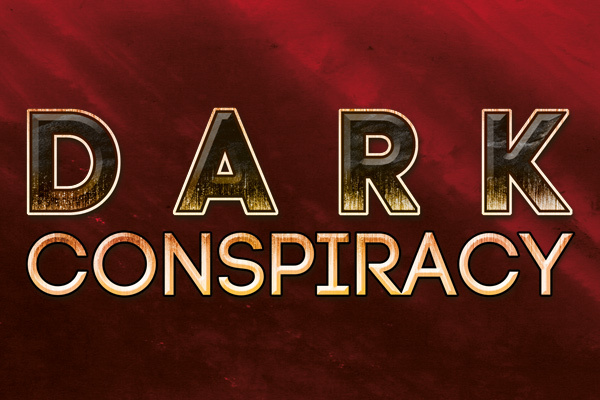 In Dark Conspiracy, the players taken on the roles of normal citizens in an era marked by a Greater Depression, drawn into investigating the sinister alien horror, minions of dark and evil alien entities, that have infiltrated human society. With an arsenal of high-tech weapons and paranormal abilities, these “minion hunters” form cells, relying one one other as they wage a clandestine war against these evil forces that attempt to ruin the world for humankind. 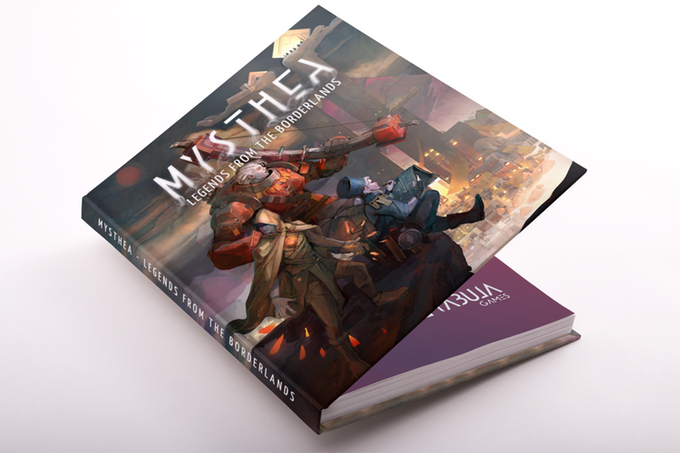 This new edition updates the original game system and setting to modern sensibilities and heralds a robust line of accompanying sourcebooks and accessories. The team contains a wide and diverse team of talented newcomers and industry veterans, with additional team members to be announced. Patric Götz founded Uhrwerk Verlag in 2009, using his extensive experience in the field of roleplaying, first as an employee in a games store, then working at a wholesaler, and finally as publishing director at Ulisses Spiele. Uhrwerk’s first publications were the German versions of Hollow Earth Expedition and Deadlands Classic in 2009, as well as the license for the western continent Myranor for The Dark Eye. In the following years, Uhrwerk continued with successful launches with more and more German self-productions likeMalmsturm, Contact, and Dungeonslayers, and expanded into translations of English games such as Numenera and Achtung! Cthulhu. Since 2013, Uhrwerk Verlag (under the label Clockwork Publishing) has branched into the English-speaking market, financing a new edition of Space: 1889. At the same time, the company focuses mainly on the production of its original German fantasy roleplaying game, Splittermond. Today, about a dozen employees are permanently employed at Uhrwerk Verlag, and on average, they issue three to four roleplaying publications per month. Uhrwerk Verlag has a history of executing several prior several crowdfunding campaigns. Conan: Horrors of the Hyborian Age is available exclusively in print on Modiphius.net joining the PDF versions on Modiphius.net andDriveThruRPG.com and is also part of ourConan Collection, where you can find further source books, accessories, dice and tiles to bring your adventures in the Hyborian Age to life. 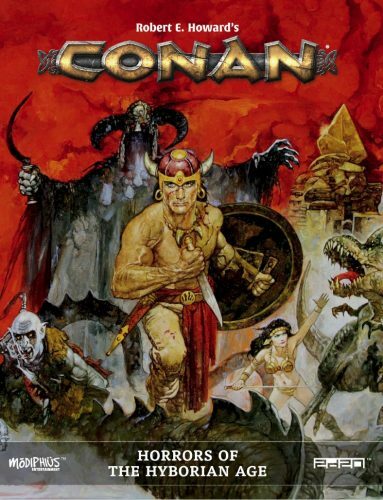 We hope you enjoy this latest release from our Conan collection, it joins other recent releases like Conan the Brigand, Conan the Pirate and Conan: Nameless Cults. Look out for more great Conan print releases coming next month, including Conan The Monolith Source Book. The Dungeon, A set of 2 Modular Books of Battle Mats for RPG, is the new modular adventure map book release from Loke BattleMats. A unique product which combines easy storage and portability with up to an epic 2’x2’ playing area and a endless number of map combination options. The Dungeon is level and flat so it plays just like one large map. 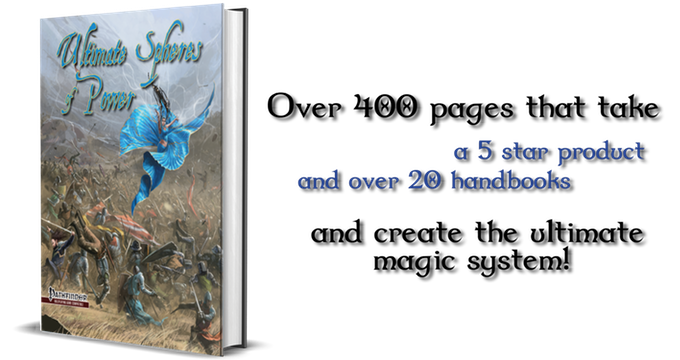 Our wire bound format is the closest you can get to a traditional RPG Tabletop mat will all the advantages of a book as well. Just open & Roll! Fully Laminated throughout and thus wipe clean, every page bar the front & back covers is a map so you get the maximum dungeon out of the books! No more hastily drawing dungeons or spending hours preparing for games. Just open & roll for initiative! 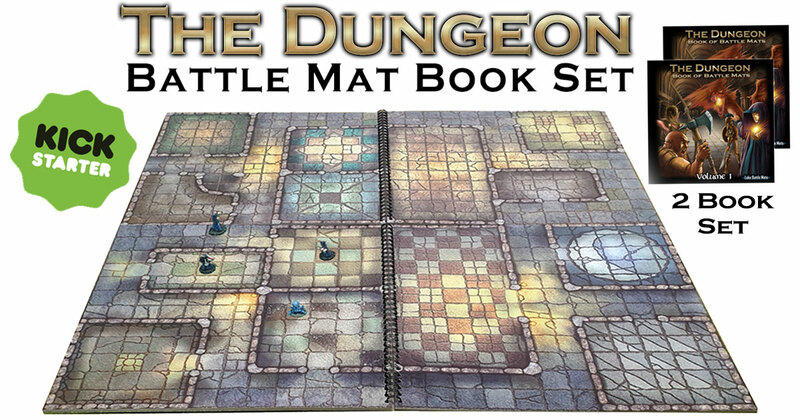 Presented as a set, The Dungeon comprises two 12”x 12” Modular Books of Battle Mats designed to either create 12”x12” or 12”x24” maps using one book, or combine two books to form 24”x24” playing areas, 12”x48”, or frankly any other combination you can think of. Designs have standard entry/exit points to allow the adventure to grow and grow. The wire bound spine allows the books to lay completely flat or fold completely in half. It also means you can ensure the books are 100% level so your adventure can move seamlessly across the map. Two Book set presented as a set. Each book is 30 map pages (we will be increasing the page count as stretch goals are hit). Portable, adaptable, expandable and modular. Wire Bound format, 360° spine offers unrivaled flexibility and lays completely flat. Linked designs & standard entry/exit points throughout to allow play across multiple pages and books seamlessly. For this column, I reach out to crowdfunding creators to ask what projects they’re not in, but are still excited about. I ask each creator separately, so I’m surprised how often a creator recommends another creator’s work in *the same* article. This week, Fire Lizard Games recommended Castles & Cats, all in the same article, and without knowing that they’d appear together. To read their recommendation (as well as these other excellent creators), scroll on! ENDS: Sun, April 14 2019 8:00 AM EDT. 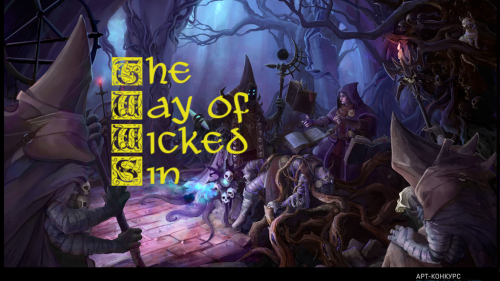 A 5E adventure that promises chills and excitement! “I always people running campaigns on Kickstarter for their first time. I’m into my third now, and they are a rollercoaster of emotions. Ian and Jayson of Silver Bulette are well-funded and still have 18 days left, so this is good to go. ENDS: Tue, April 30 2019 1:09 PM EDT. “The Ultraviolent Grasslands by Luka Rejec is at the very top. I remember sneaking Heavy Metal Fantasy Magazine into my house when I was 13 — knowing the danger of it — feeling like this weird and sick treasure would change my life both creatively and socially. It did. That’s the feeling I get from this game. I can’t wait to crawl through it, bleeding. ENDS: Tue, April 16 2019 5:02 PM EDT. 1. From the Ashes by FG Fantasy: From the Ashes intrigued us because of the interesting concept of starting out as an undead being. There are a lot of very cool stories to be told with that starting point. The artwork looks phenomenal, and the Kickstarter has a modest, attainable goal with affordable tiers! ENDS: Thu, April 25 2019 8:00 AM EDT. 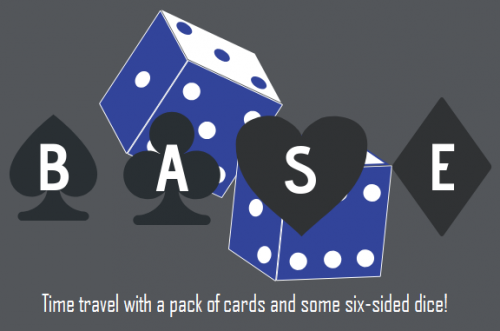 “Brassman’s Adventure Club is the monthly subscription service I have been waiting for! With the busyness of adult life looming around every corner it is hard to take the time to carefully plan out my D&D groups next campaign, I feel my campaigns are half baked the majority of the time. Brassman’s Adventure Club is a full campaign mapped out by seasoned DM’s and comes straight to your door every month. This includes all the core tools needed to run your monthly D&D session with little planning, the illustrations look amazing and they have a price options that fits every budget. The City of the Steam Sun crowdfunding campaign is coming soon to IndieGoGo! Mathematically calculated City was to become a new Utopia of the rational age, but the disaster changed everything – the City fell into Limbo, the threshold of Hell. Progress faced ancient magic. The City became a part of Limbo, with no sunlight. The familiar world doesn’t exist anymore. There are other laws and other creatures here – but the scientific method works even in the craziest conditions. People lit their steam Sun here. Every morning it rises over the City on a huge rail. The authorities lead diplomatic negotiations with demons, inventors dream of creation of a conscient automaton, researchers look for traces of ancient civilizations. Scientists and frauds, adventurers and magicians, evil geniuses and brilliant detectives… humans and demons. All of them are in the City of the Steam Sun. 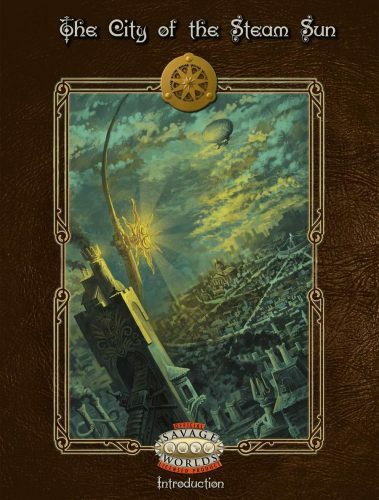 Designed for Savage Worlds, The City of the Steam Sun casts players in the gloomy atmosphere of steampunk Limbo: an explosive mixture of steam technologies and ancient magic. A breathtaking detective story, Victorian mystical horror and adventures in the dim rays of the metal steam sun. Two books with a combined volume of about 330 pages with more than 70 full color illustrations. More than 40 new edges. Three new arcane backgrounds with unique game mechanics: Technomages, relying on their equipment, Blessed Ones, who create miracles from their own life force and Dark Mages, who make grim sacrifices to gather power. Flexible rules for creation of inventions, suitable for those who want to dive into creation of a new device and enjoy choosing components and their various combinations; as well as those who prefer to assemble their mechanisms quickly. Create your own fine tuned weapons, transport and even semi-intelligent automatons. Three adventures, one per each genre. Discover the plot behind the robbery of the officer of Expeditionary Force in the “Case of the Winged Statuette”, face horrors of the “House of Forgotten”, and reveal some ancient secrets of Limbo on the “Path of the Pilgrim”. And a wide range of air and steam guns for all fans of steampunk. The City of the Steam Sun is created by Steam Sun Games, a small pen-and-paper RPG studio from Yekaterinburg, Russia. Now we are finishing the English version. The translation is complete and we’ve decided to crowdfund it to complete editing and layout. Our crowdfunding will go live at April 17, 2019. Wind dies. Pale grass grows in spirals. Lichen forms blurred iridescent sigils on cracked stone. Black trees curl their trunks and crook their branches as if bowing. The Spire is driven through the skin of the world like a pin through curling paper. With every step toward the tower, it writhes and warps like a hallucination. Brave adventurer, Free League Publishing announced that Forbidden Lands: The Spire of Quetzel has released worldwide today. Do you dare to enter the land beyond the mountains in search of the spire? Rumor has it that you shall encounter a dreaming Demon-Queen, a prison of strange beasts who call themselves a family, a coven of witches who don’t get along, and the strange graveyard of the last thunder lizard to walk this land. If it will be dangerous? Of course, the Forbidden Lands are more dangerous than ever. But what does it matter, friend? Together we laugh in the face of danger and make our mark on that cursed world. Together, we will survive. 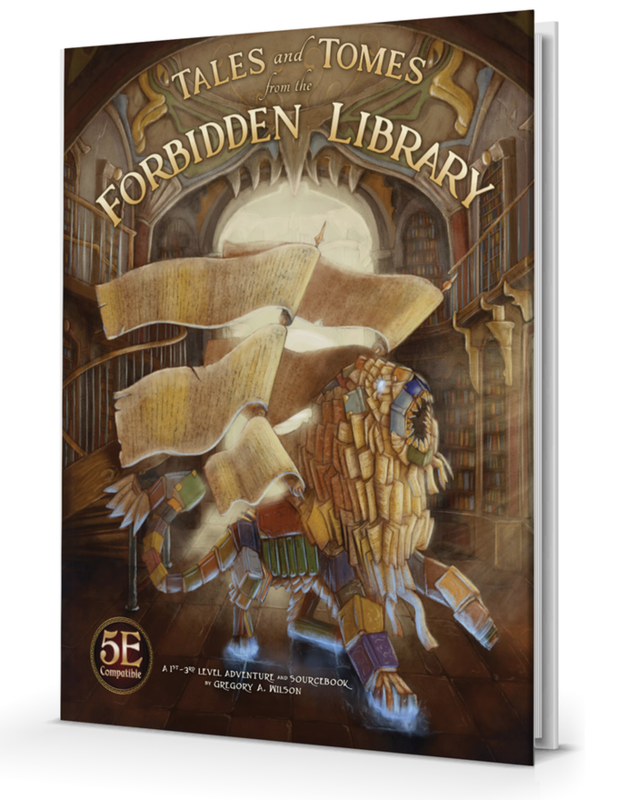 The volume The Spire of Quetzel collects four adventure sites for the critically acclaimed retro-fantasy RPG Forbidden Lands, written by some of the best writers in the field today. Read more about Forbidden Lands: The Spire of Quetzel here. In the sandbox survival roleplaying game Forbidden Lands, you and your friends take on the roles as raiders and rogues bent on making your own mark on a cursed world. Discover lost tombs, fight horrifying monsters, wander the wilderness and build your own stronghold to defend.The tabletop RPGForbidden Lands was named one of the best RPGs of 2018 by Geek & Sundry. 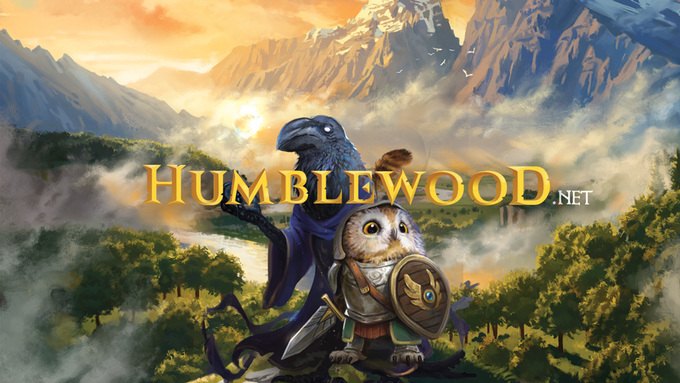 The crowdfunding campaign raised over a quarter of a million dollars and was the third most successful RPG Kickstarter in the world 2017. 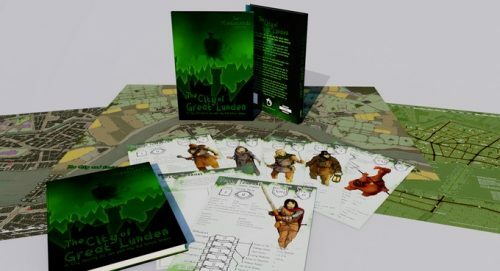 VANCOUVER, BRITISH COLUMBIA—Lunar Games has announced the release of the Tome of Spirits, its first major supplement to the Endless Realms tabletop roleplaying game. 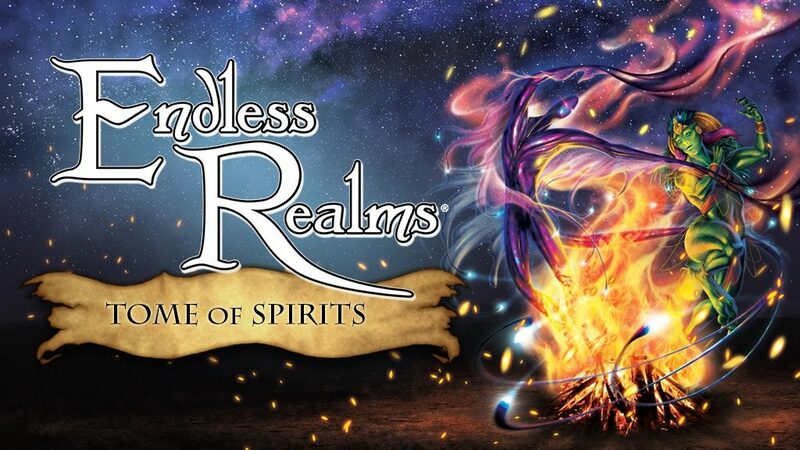 In Endless Realms, players take on the role of a character with fantastic abilities and tangible personality traits to play through adventures created and piloted by a Game Master. The Tome of Spirits adds an array of additional content focused on spirits and the Spirit Realm, including new magic and cursed items, class paths, religions and cults, rules for corruption, stats and lore for spirits themselves, and rules for becoming the champion of a spirit. The religions and cults of the Tome of Spirits largely surround the spirits that are also found within the tome’s pages. These snippets of lore and information provide grounding for these religious organizations, giving Game Masters and players alike plenty of fuel for the motives and stories of characters they introduce in their campaigns. Characters become Spirit Champions by earning the trust and respect of a spirit, through worship or service, thereby gaining new abilities in exchange for continued service. Getting involved with a spirit is no light matter, however; spirits often quarrel over territory, playing an ethereal game of chess with their corporeal pawns to force each other into exile or corruption. 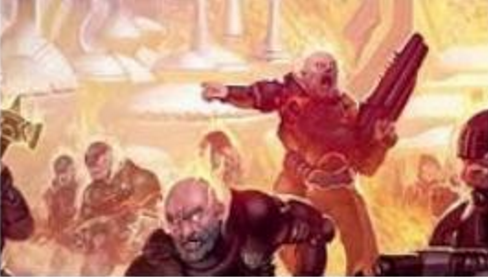 Corruption is first introduced in the Endless Realms Core Rulebook, and is greatly expanded upon and given actionable mechanics in the Tome of Spirits. This sickness yields great power, but has dangerous and often fatal effects even for the otherwise immortal inhabitants of the Spirit Realm. Corruption is a major theme in the game’s overall storyline. Lunar Games successfully funded a Kickstarter campaign for the Endless Realms Core Rulebook and Creature Compendium in April 2018, raising just over $40,000 CAD in 35 days. The funding goal for the Tome of Spirits is to raise $8,400 CAD. Its campaign will go live on April 23d and will run for 30 days. The forests grow darker, as does the streams and the soil. Neither the Queen’s subjects, nor the clanfolk has ever taken the warnings seriously. The desire to pillage the treasures of the forest has always been stronger than the fear and caution, and no desire has ever flamed hotter than the longing to find the place which is called the Mother of all Darkness. Now the time has come to go on the hunt for Symbar, the blackened heart of the empire of Symbaroum. Explorers, treasure-hunters, adventurers and loyal subjects, listen up – trustworthy directions to the legendary city of Symbar has been uncovered! Pack your bags immediately, sharpen your swords and resupply your stock of healing herbs, for the expedition leaves as soon as the warmth of spring breaths life into the forest of Davokar! 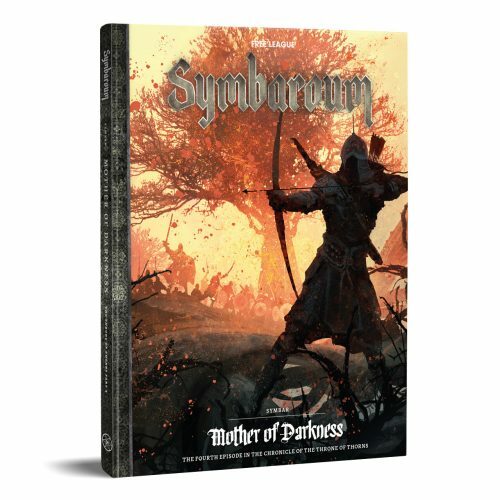 Following the merger of award-winning roleplaying game publishers Free League Publishing (Tales from the Loop, Mutant Year Zero, Forbidden Lands) and Järnringen, it is time for the first major joint venture: Symbar – Mother of Darkness, the next episode in the epic Throne of Thorns campaign for Järnringen’s acclaimed dark fantasy RPG Symbaroum, was launced on Kickstarter today. Ends: Sun, March 31 2019 11:56 AM EDT. “Swordsfall is amazing, it’s a project creating an afro-futurist world and the depth of the worldbuilding on display is staggering, in a good way. The project has gone through the roof and I’d love to see this go even higher. The more diverse and deep projects we have out there the better. 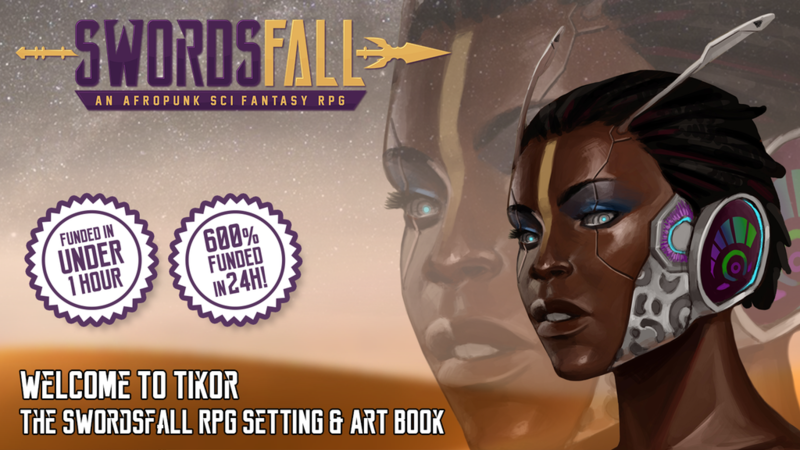 Swordsfall was recommended in last week’s article by Rachelle Dube of Dino Wranglers – Zine Quest and Waypoint Game Designs of Manifest the RPG. Ends: Wed, April 10 2019 11:01 AM EDT. 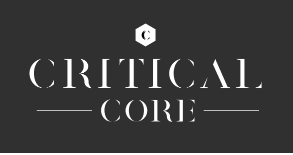 “Critical Core looks fantastic. I’m a big fan of products that seek to involve marginalized groups and make them apart of the experience. It has a such a cool story behind it as well. It was created by a father who wanted to help his autistic son get into gaming. Ends: Thu, April 4 2019 12:24 PM EDT. “Manifest RPG‘s space western setting looks really unique and interesting. The style of the cover art, especially, looks great. There are major Firefly vibes for sure–and rolling a fist of D20s sounds like a lot of fun. Manifest the RPG was recommended by Fraser Simons (The Veil: Inheritance, a biopunk tabletop roleplaying game) in a prior column. Ends: Thu, April 11 2019 9:00 PM EDT. “I’ve been a guest at AcadeCon the past two years and will be again this year. NOTE: I featured CAPERS Noir before (here) but I added it again after Craig and I talked about AcadeCon and their Kickstarter, and he gave it a glowing recommendation. The project selections and opinions expressed by the contributors are solely their own, and do not necessarily reflect the views of Egg Embry or the Tessera Guild. 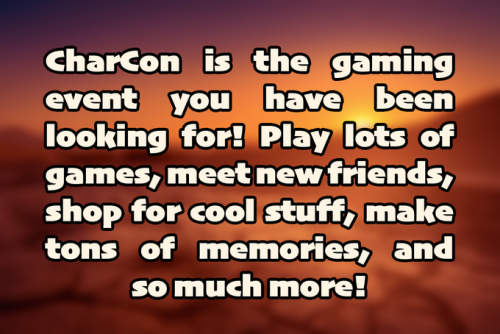 Tagged Brandon Dixon, CAPERS Noir RPG, High Level Games, Justice Velocity: An Action Movie Inspired Tabletop RPG, Kickstarter, NerdBurger Games, Polyhedra Games, Snowhaven for Fifth Edition, Welcome to Tikor | The Swordsfall RPG Setting and Art Book, What Kickstarters Excite Creators? 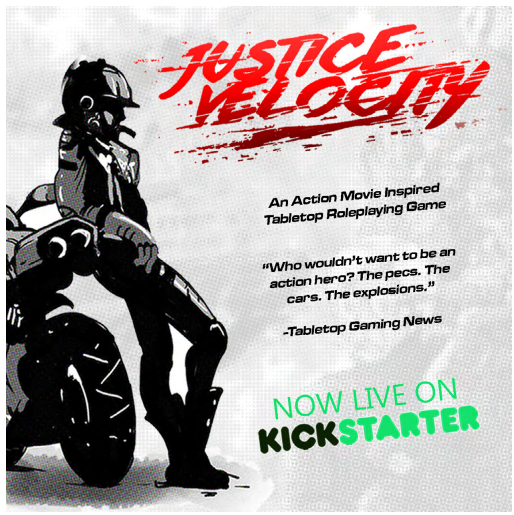 March 6th, 2019– Justice Velocity, the action movie inspired tabletop roleplaying game is officially live on Kickstarter. Inspired by pulpy action films like the Fast & Furious franchise, Bad Boys, and more, Justice Velocity puts you in the driver’s seat. The campaign launched on Tuesday, March 5th, and generated 32% of its $1500 funding goal in its first day. 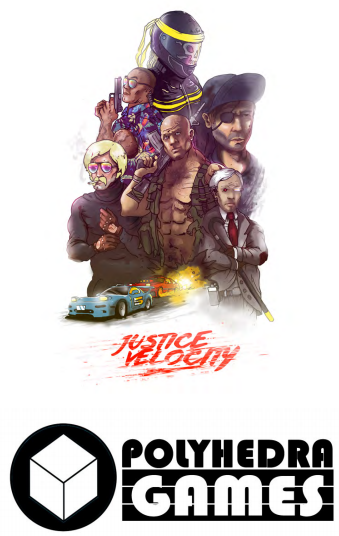 With a goofy and over-the-top promotional video – https://www.youtube.com/watch?v=TMAzwkwVZsQ , Justice Velocity promises to deliver on all the action movie tropes–espionage, heists, hijinks, and fast cars are all essential to the blood-pumping action. The title is independent game designer Clipper Arnold and Polyhedra Games’ first official title, though they have the help of Nathon Paoletta (of World Wide Wrestling and more) doing the final layout design, and punchy visuals from Swedish artist Anders Karlsson. The game boasts quick character creation, making it ideal for one-shots and short campaigns, octane chips for kicking it into high gear for climactic action sequences, and dynamic vehicle rules for different styles of races and car combat. What is the velocity of justice? Many say it’s difficult to quantify– that it even evades common metrics of measurement or full understanding by the rule of law. One thing’s for sure, however: you should be able to gauge it as it comes hurtling towards you. Hands grip steering wheels as rubber grips concrete. Seedy underbellies trade bullets with the law and set moral shades of gray ablaze. Napalm and nitrous are as indispensable as your ability to hack or maneuver cold machinery. Inspired by action movies like the Fast & Furious franchise, Rush Hour, or Bad Boys, and anime like Initial D– Justice Velocity puts you in the driver’s seat. 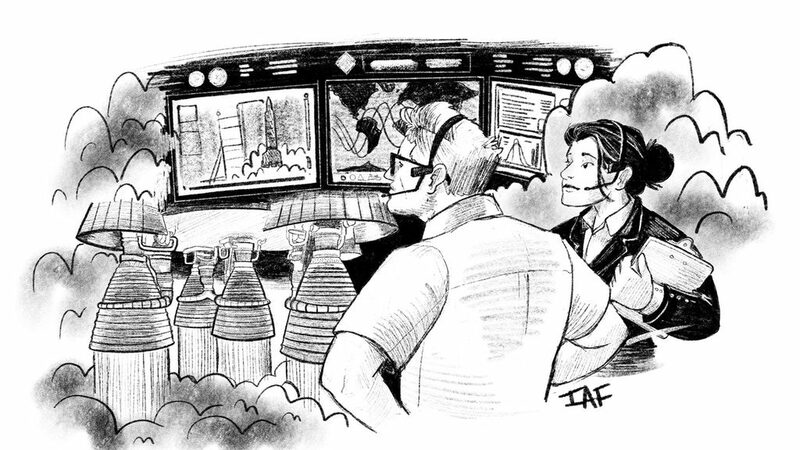 It’s an exercise in collaborative storytelling that puts the stakes of a race or the fate of deadly computer viruses up to your players’ skills, abilities, and the roll of the dice. There’s something exhilarating about sending Hot Wheels™ down a track into their doom. There’s something thrilling about unnecessary explosions. There’s something amazing about seeing whether or not a car can jump over the opening of a live volcano. Justice Velocity is an unapologetic, adrenaline-fueled romp which delves into the nature of exergy and machine fetishism. It pushes physics, bodies, and systems to their limits. When justice calls, sometimes it’s the gruff, meat-headed, cargo-pants-donning voice of utilitarianism that picks up the phone. This is a foray into that universe… one in which steel, muscle, and ingenuity can prevail and save the world from certain peril. 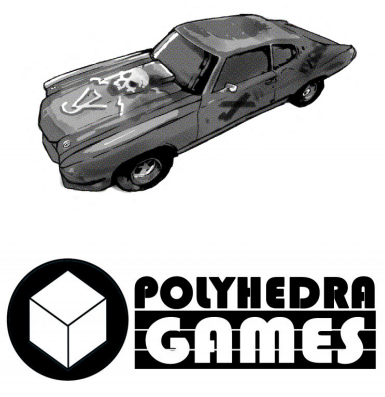 Justice Velocity is made by Polyhedra Games. It comes to Kickstarter Tuesday, March 5th. 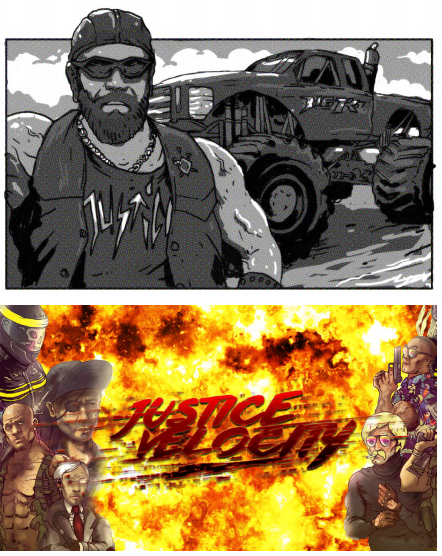 You can pre-screen the promo video here – https://www.youtube.com/watch?v=TMAzwkwVZsQ , and see a preview of the Kickstarter campaign here – https://www.kickstarter.com/projects/polyhedragames/justice-velocity-an-action-movie-inspired-tabletop?ref=557316&token=b3808dec . Interviews, beta rules, and other materials are available upon request. “I’m digging Hair Metal Horror: Glam Metal Horror RPG Zines. Being a child of the 80s and a huge horror movie fan, this one really speaks to me. Plenty of 80s horror movies had rocking soundtracks, and the mash up of glam metal and horror is just too good to pass up. Mash ups like these just go to prove, if you can think of an RPG idea, there’s a game for it. The description makes it look incredibly fun with plenty of horrific elements, but dotted through with glam rock and humor. Ends: Thu, March 28 2019 11:08 AM EDT. “With Kickstarter’s Zine Quest and several game designer friends putting out bigger projects, 2019 has been absolutely brutal. My wallet only goes so far! I’ll limit myself to three I pulled out of a virtual hat. First: Escape from Dino Island by the Sams—Sam Roberts and Sam Tung. We’re all about dinosaurs in our house! The fact that it is designed for one- or two-shots makes it perfect for those random nights friends pop by or plague hits our usual gaming groups. 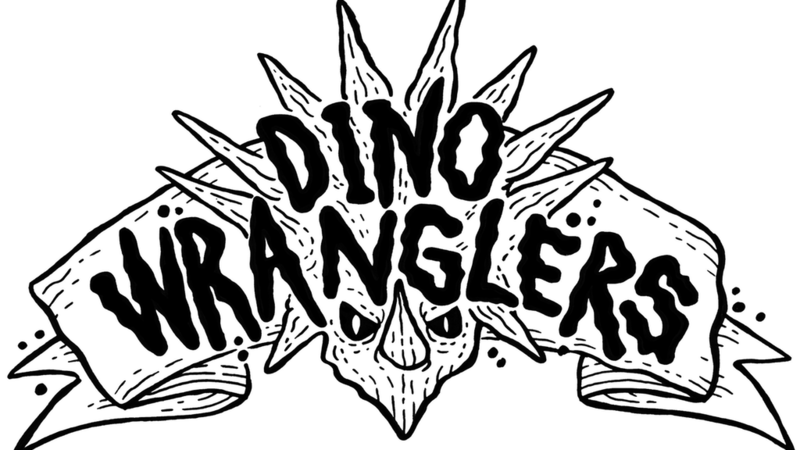 If Sam Tung wasn’t doing, you know, his own Kickstarter, I would have loved to have his art in Dino Wranglers! This game checks a lot of boxes for me, and I can’t wait to get it! Second: Mythsea: Legends of the Borderlands by Jay Iles. She describes it as emulating, “Final Fantasy 12 crossed with Steven Universe. You’re crystal-powered heroes sent to a conquered territory to make it useful for your masters, but as you play (and grow invested in the territory) you’ll develop new loyalties and see your homeland in a whole new light.” I’m probably one of two people that haven’t ever played any Final Fantasy games, but it’s beautiful and engaging, so I’m interested anyway! 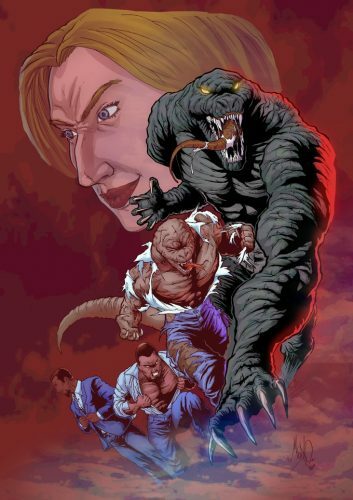 Dino Wranglers was recommended by Craig Campbell (CAPERS Noir RPG above) as well as Justin Ryan Isaac (Cade’s Big Book o’ Booze) and Riley Rethal (synthesis.) in a prior column. Expect another Swordsfall recommendation from Waypoint Game Designs (Manifest the RPG). Ends: Mon, April 1 2019 3:00 PM EDT. 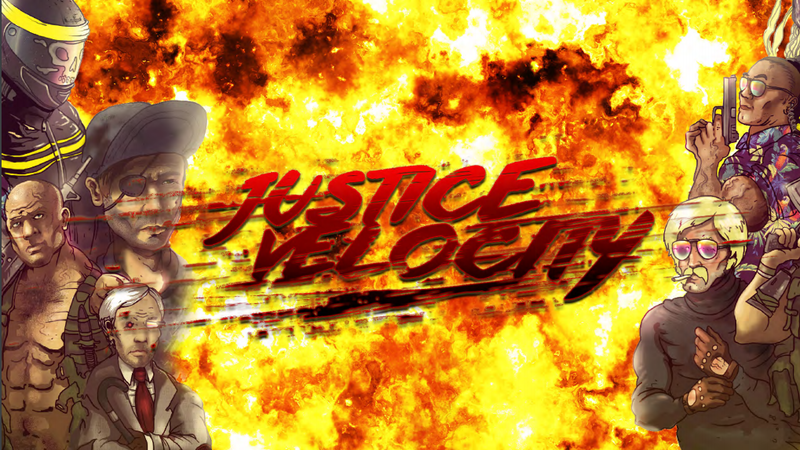 The other live Kickstarter we’re fans of is Justice Velocity by Polyhedra Games. Their fast and loose, adrenaline filled RP experience seems like it will be a lot of fun to play at any table. 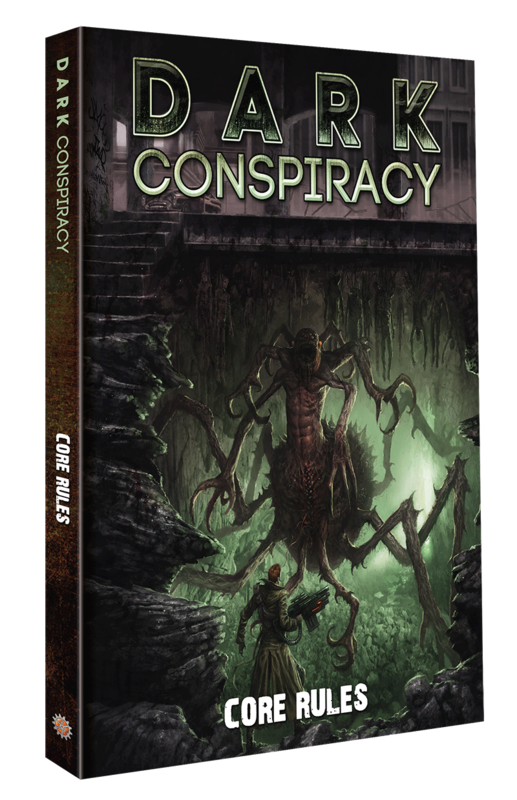 Manifest the RPG was recommended by Fraser Simons (The Veil: Inheritance, a biopunk tabletop roleplaying game) in last week’s column. Swordsfall appears above (recommended by Rachelle Dube of Dino Wranglers – Zine Quest). W.M. Akers (Comrades: A Revolutionary RPG) recommended Grey Cells in the same column. Ends: Thu, March 28 2019 8:45 AM EDT. “I backed these projects, and I want to give them a highlight. CHTHONIC CORNBELT by Lee Barber is a weird little zine that’s pulpy and resembles advertising print design from the 1980s. It’s implied world reminds me of what an 80s baby would dream up in their notebook margins between boring math lectures and a substitute teacher day. The little pieces of ephemera on display will surely be a springboard for some fantastic ideas. Be Witching is an RPG from Anna Anthropy, whose work in indie games I’ve followed for over a decade now. This is an adorably designed, inclusive game where players are even encouraged to draw their characters, which should be a very nice twist the first time I’ll run this. Also, this ostensibly being a game simulating prom night interviews, this is likely to get very passionate. 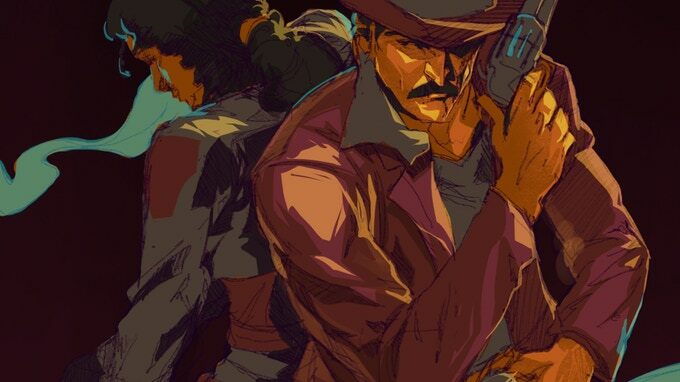 Tagged Absconding: Indie RPG zine for 5E, CAPERS Noir RPG, Dino Wranglers - Zine Quest, Joshua Rivera, Kickstarter, Manifest the RPG, NerdBurger Games, Rachelle Dube, Waypoint Game Designs, What Kickstarters Excite Creators? March 13, 2019 – Olympia, WA—The Warrior stands before the king who tells them that they are the next in a long line of warriors of legend tasked with fighting off an evil tyrant. That is how every game begins, but from then on the players shape the setting, scenery, and the story itself through gameplay. Four roles craft the narrative: the Warrior, the Villain, the Ally, and Treasure. The Warrior controls the actions of the story’s protagonist. The Villain invents conflicts, monsters, and characters who stand in the Warrior’s way. The Ally steers the townsfolk, shopkeepers, and the Warrior’s friends—all whom aid the Warrior’s journey and send them on quests. Lastly, Treasure describes the world itself, breathing life into setting and scenery, as well as whatever items the Warrior finds on their journey. Players are encouraged to ask provocative questions about the parts of the story the other players’ roles control, allowing everyone to push the story towards what piques their curiosity. Players frequently switch roles during the game, giving everyone a chance to say what the Warrior does next. Questions serve a double purpose of useful prompts to jumpstart one another’s imaginations. Drawing is a meaningful part of the gameplay as well. Depending on their role, players might draw maps of towns and dungeons they explore, or sketch the monsters and challenges that lie in wait for the Warrior. When the players switch roles, so do the drawings they were working on, allowing other players to fill in details, or introduce characters and settings based on someone else’s art. There are just enough stats and strategy to give Dragon and Warrior the feel of a turn-based RPG video game battle without having so many rules that they hinder player creativity. Conflict is quick and exciting—a back and forth card game of attacking, blocking, and maneuvering for the right opening. Characters can be built to focus on powerful strikes, quick agility, or magic spells, and they will slowly grow in power throughout the campaign—as will their enemies. Dragon and Warrior is available for purchase through Kickstarter in two formats (a $5 PDF file or an $8 zine in single-color ink). The hand-drawn art and beautiful layout were designed by Michael Wight in the style of Akira Toriyama of Dragon Quest and Dragon Ball fame. The Kickstarter ends on Sat, March 30th. Created by game designer Orion Canning, Dragon and Warrior is based on old school JRPG video games, combining strategic turn-based battles with the play-to-find-out style of indie RPGs. Though Dragon and Warrior is Canning’s first game release, his work can be enjoyed in Fall of Magic, Legend of the Elements, and Monsterhearts Second Skins. Fully funded within nine days of its release, Dragon and Warrior looks to be Canning’s first successful launch. Today we’re pleased to announce the release of a raft of new John Carter products including the core book in print, first campaign book Phantoms of Mars in print and PDF, the Narrator’s Screen, Prince of Helium Notebook plus individual resin miniatures like John Carter and Dejah Thoris in alt poses to power your adventures of heroism and romance on the dying red planet! These join the recent John Carter Collector’s Slipcase set, miniature sets featuring the Heroes of Barsoom, Helium and Zodanga Fighting Crews and Thark Warband, plus Helium, Thark and Zodangan dice sets, which are all available as part of the John Carter of Mars Collection on Modiphius.net. You can also buy all the PDFs as part of the John Carter Collection on DriveThruRPG.com. 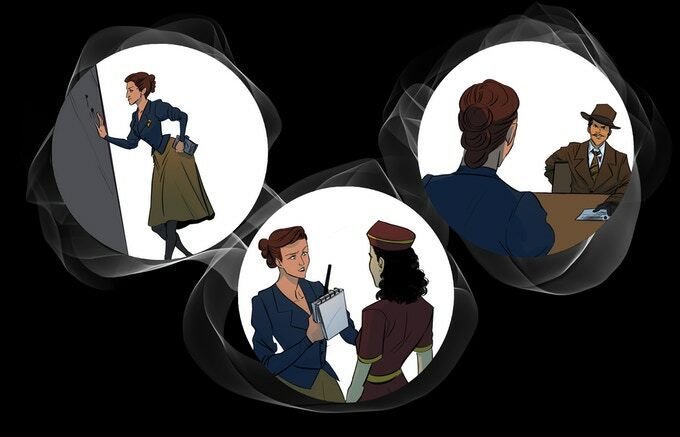 PRESS RELEASE – NerdBurger Games Presents CAPERS Noir! NerdBurger Games Presents CAPERS Noir! Criminals, Cops, Mystery, Monsters, and SUPER-POWERS! It’s the 1940s in the United States. World War 2 has wrought such destruction that the veil between this world and the world of the dead has thinned. Monsters have crept in. You are a criminal or a cop in a noir landscape of crime, corruption, red eyes in the shadows, and bumps in the night…and you have super-powers! 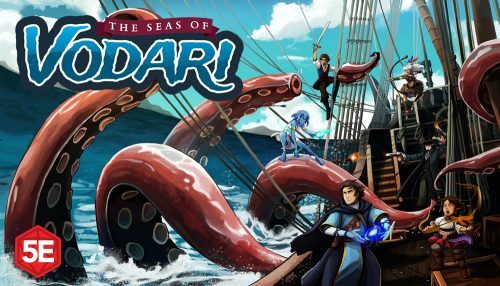 The Seas of Vodari Kickstarter campaign will be launching on Wednesday, March 13th, 2019 at 2pm EDT and will run for 30 days. 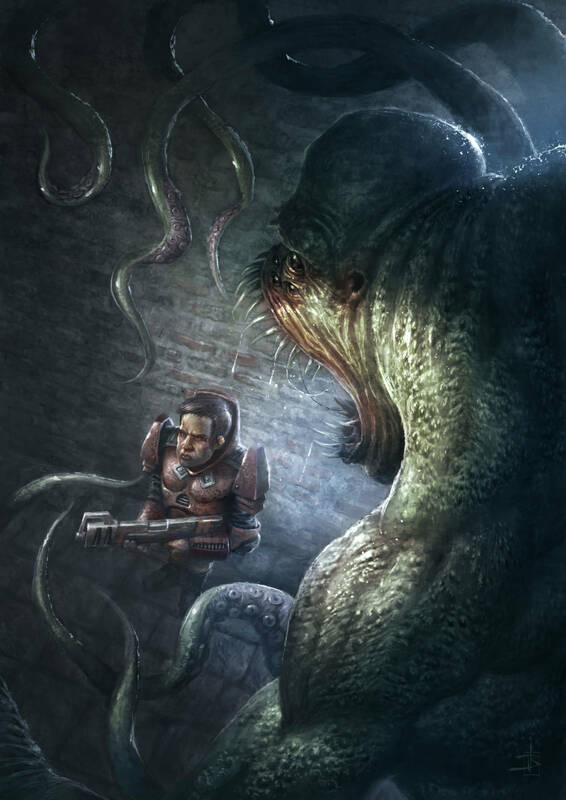 The Seas of Vodari is a full color book that we are offering in hardcover and PDF. This book provides 200+ pages of material for gamemasters to run exciting seafaring campaigns for 5th Edition. Your players will get tons of options for creating characters and you’ll get support to run a world full of swashbuckling action and magical adventure. The Seas of Vodari campaign setting contains all of the iconic things you’d expect in a fantasy setting, but in a world with more water than land, much of the familiar becomes surprising and new. Dungeons can be found deep below the surface of the sea in the form of shipwrecks and lost cities. The most dangerous monsters are found below the waves, such as sea dragons, megalodons and krakens. Nature becomes as deadly as the most powerful monsters with furious hurricanes, catastrophic tsunamis, and fiery volcanoes. Islands are modular by nature and the book was designed for you to use as a detailed setting or to pick and choose what you like for your own game world. 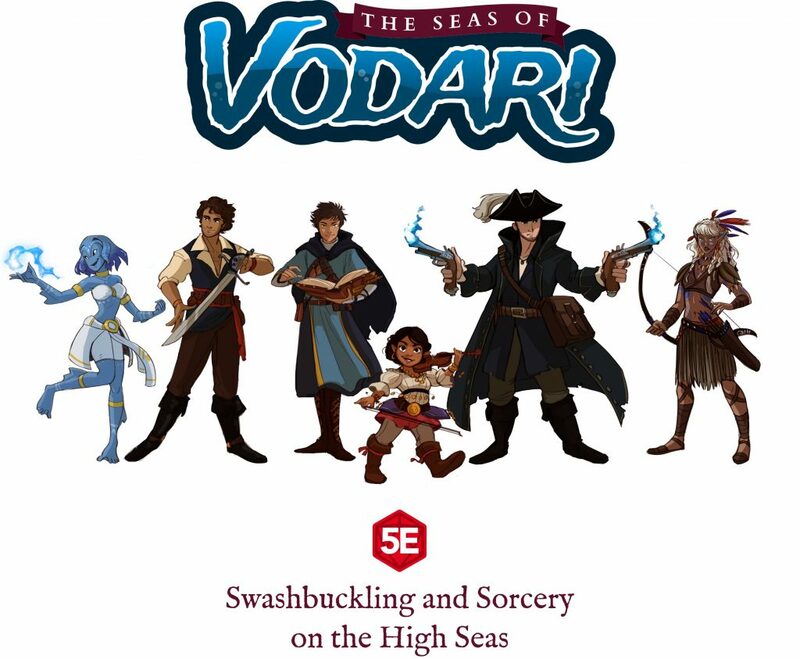 The Seas of Vodari campaign setting was created to support seafaring adventures that focus on the crew of a ship hunting sea monsters, exploring mysterious uncharted islands, visiting bustling port cities, following maps to find buried treasure, and battling cutthroat pirates. 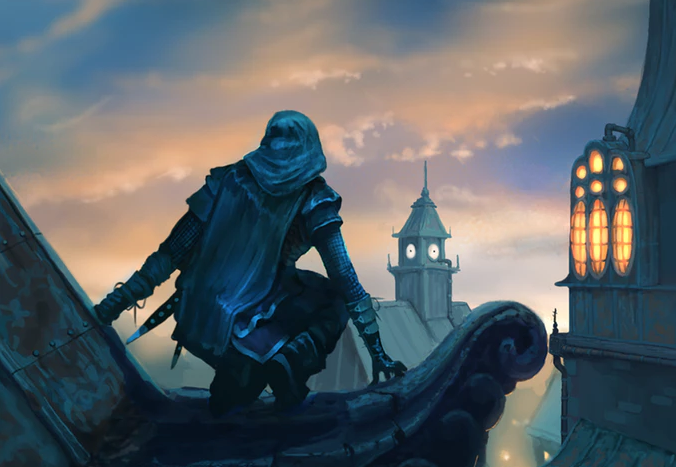 The setting is also well suited to running campaigns in its large port cities, with swashbuckling heroes getting mixed up with fierce rivals, notorious crime syndicates, feuding nobles, and scheming politicians. New races and subraces, classes and subclasses, backgrounds, and feats for your players to create seafaring adventurers. New weapon, armor and equipment options to offer your players. You’ll find flintlock pistols and rifles, cutlasses and sabres, compasses, spyglasses, and more. New spells, magic items, and powerful ancient relics with a focus on sailing, naval combat, and underwater exploration. Explore countless islands, with details for over thirty islands, a dozen cities, wilderness encounters, ruins, and more. Run swashbuckling adventures with advice and rules for duels, social combat, naval chases, plunder tables, and the code of the sea. ‘Island with No Name’ starter adventure for levels 1 to 3. Quick run scenarios including a haunted ship, sunken shipwreck, treasure hunt, and more. Sloops, brigatines, galleons, gnomish submersibles, dwarven ironsides, elven swan ships, ships of the damned, and more. Plus, we didn’t forget to add lots of cannons. NPCs for your players to befriend or face as adversaries. Stats, motivations, illustrations, and more will be provided for each. Monsters to challenge, amuse, and terrify your players including sea dragons, windsurfing goblins, sirens, technofish, megalodons, and sea titans. The learn more about The Seas of Vodari or to back this Kickstarter visit http://www.seasofvodari.com. Tribality Publishing already has numerous best-selling PDFs under its belt. 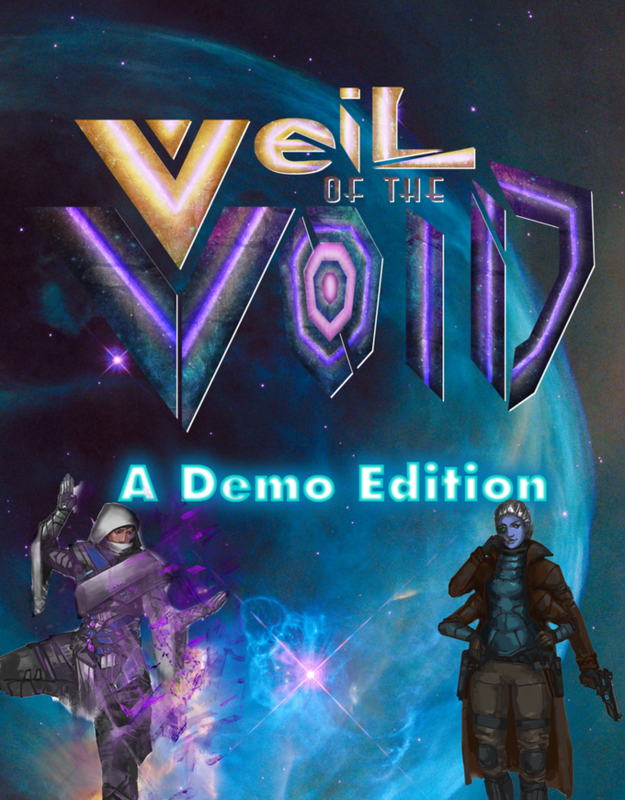 We self-funded those PDFs, but we wanted go big with for Seas of Vodari. We have secured a solid team of professionals on both the writing and production side. We are now moving into the final development stage of filling out the world with more player options, locations, magic, and monsters.